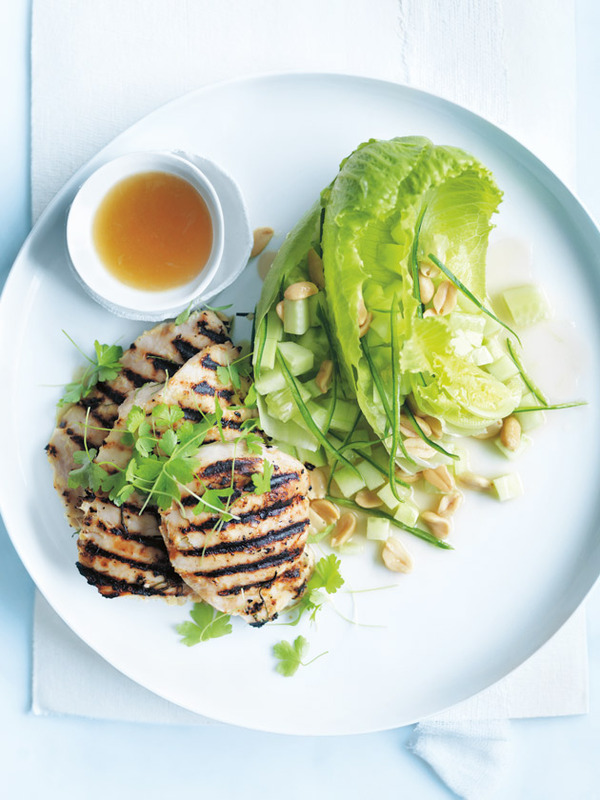 To make the lime dressing, mix to combine the lime juice, fish sauce and sugar and set aside. Place the lemongrass, lime leaves, ginger, sugar, fish sauce and oil in a bowl and mix to combine. Add the chicken and toss to coat. Allow to stand for 5–15 minutes to marinate.